The usual potential difference between the earth and the atmosphere grows with altitude, at around a hundred volts per meter. This charge imbalance can be shorted out with a thermonuclear explosion, by the radiation from a nuclear fireball ionising the air. 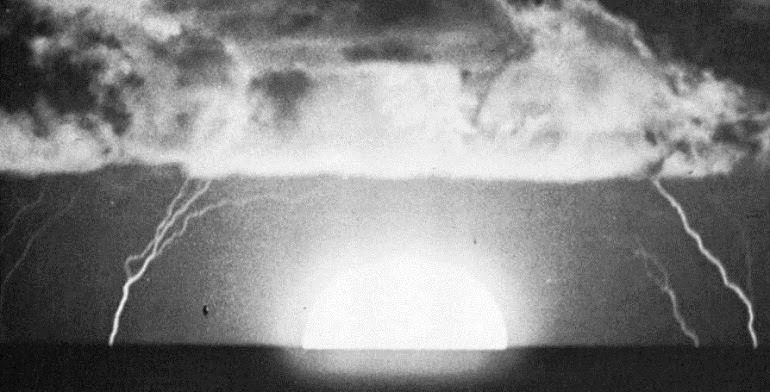 If you look at the following footage of slow motion nuclear detonation effects, at 9 min 30 sec and 10 min 3 sec, you can see nuclear explosion induced lightning from the fusion of liquid deuterium. 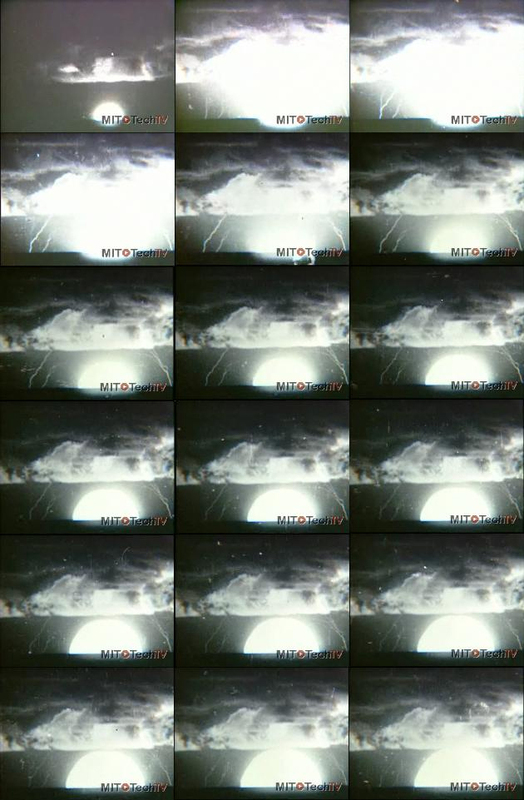 Ivy Mike 12 Megaton test.